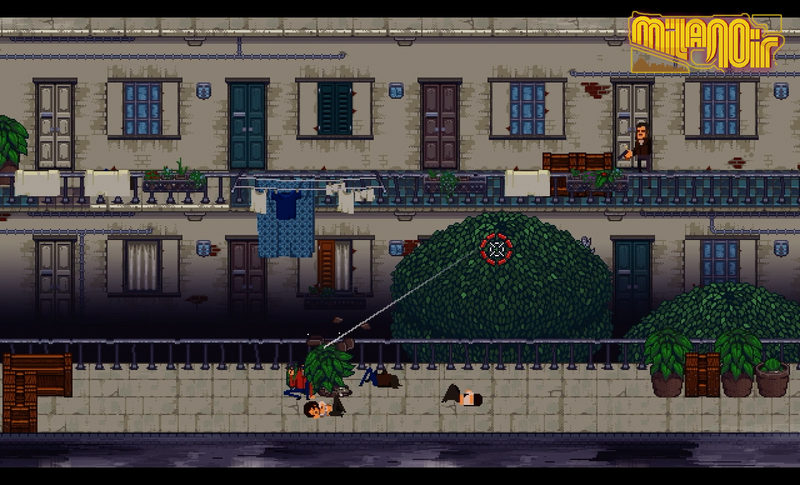 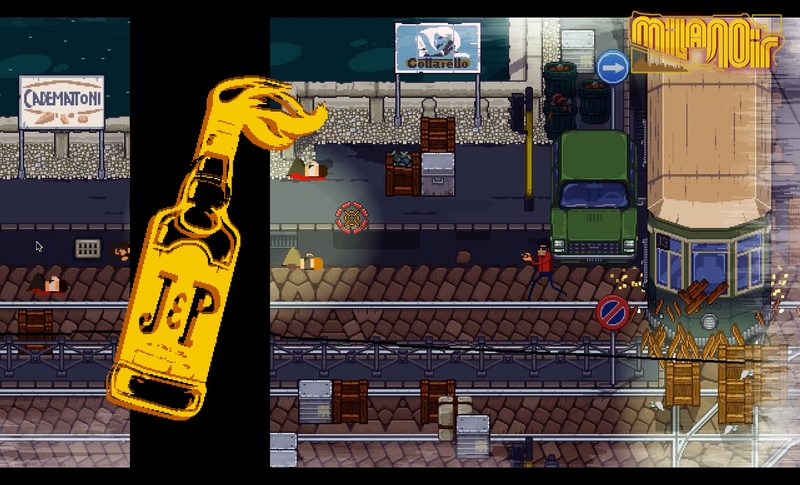 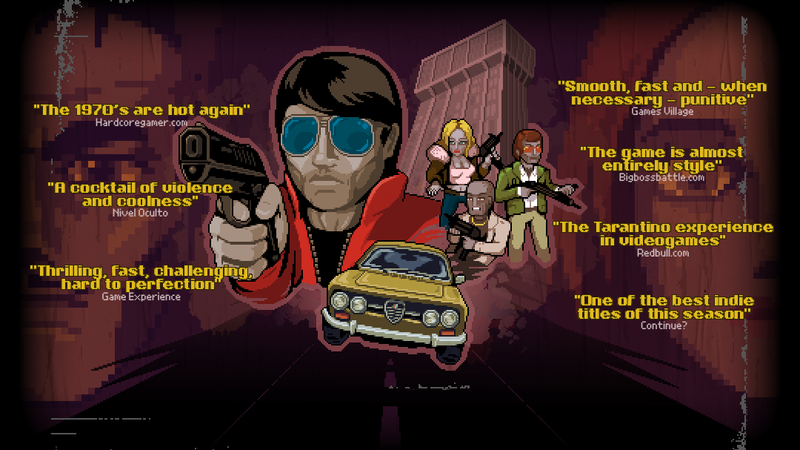 AMSTERDAM and MILAN– Feb. 21, 2018 – Good Shepherd Entertainment and independent developer Italo Games have announced that Milanoir, an original pixel-packed action game inspired by the masterpiece Italian crime movies of the 1970s, is expected to launch on Nintendo Switch™ in early 2018. 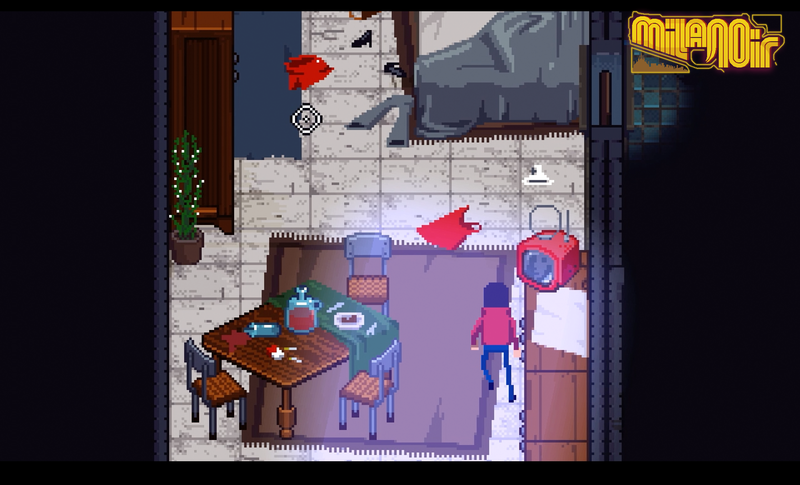 A new gameplay trailer released today teases Milanoir’s story of greed, betrayal, and revenge, influenced by classic Italian films like Caliber 9 and Almost Human. 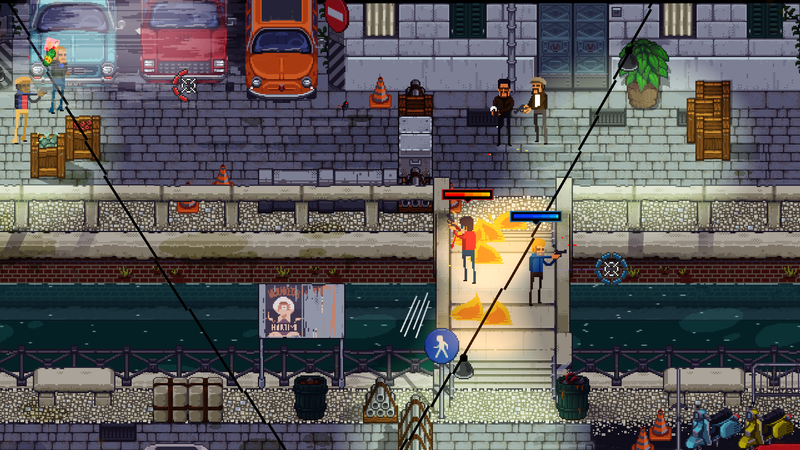 Milanoir’s pixel art aesthetic paints the unforgiving city of Milan in bright and bloody detail while a funky ‘70s-style soundtrack further captures the turbulent energy of the era. 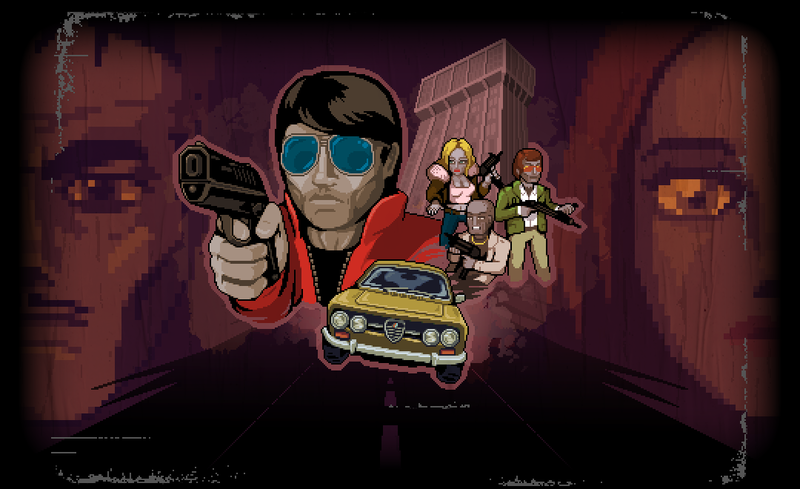 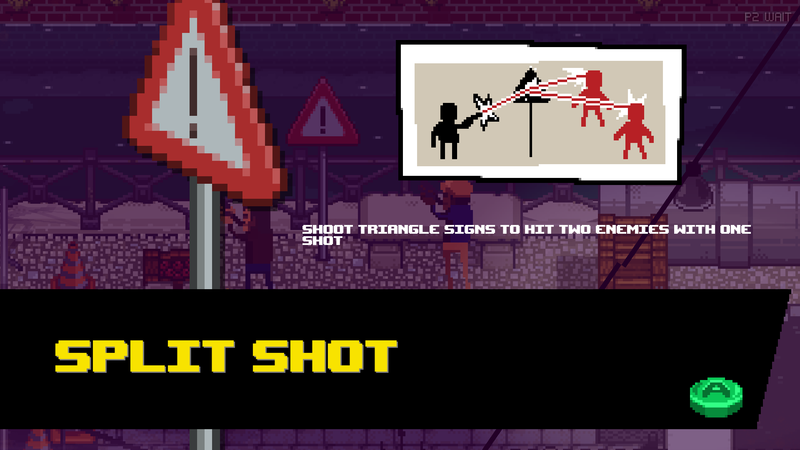 Sneak, choke and shoot through the violent criminal underworld on the hunt for the man who framed you, surviving breathtaking vehicle chases and taking out anyone who stands in your way. 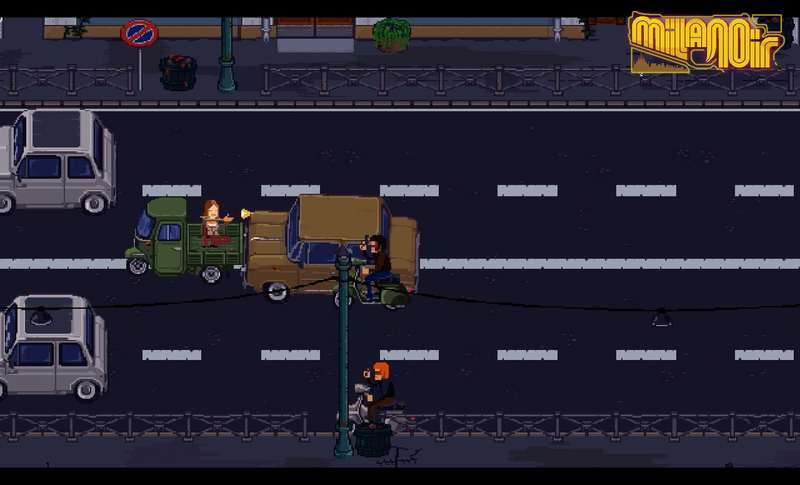 The game has been designed with the unique capabilities of the Nintendo Switch in mind, allowing two players to complete its entire action-packed campaign in co-op mode on one console with each player using a Joy‑Con™ controller. 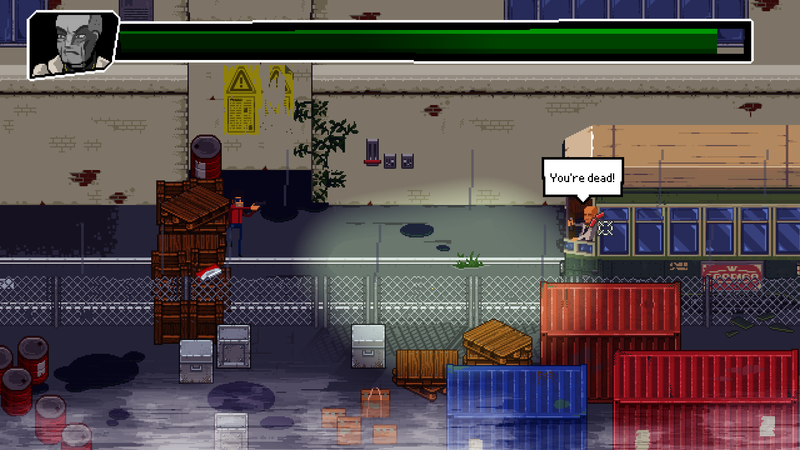 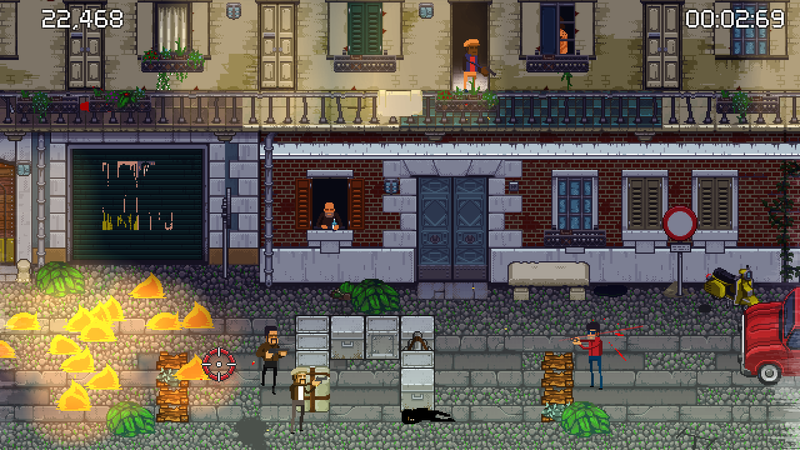 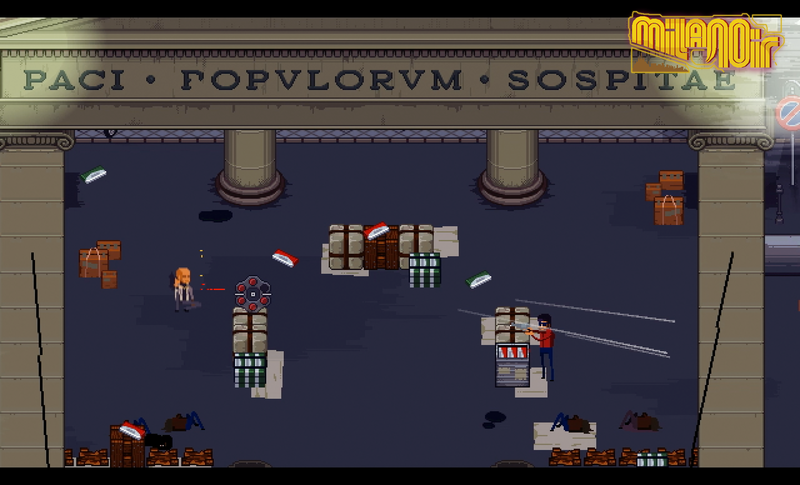 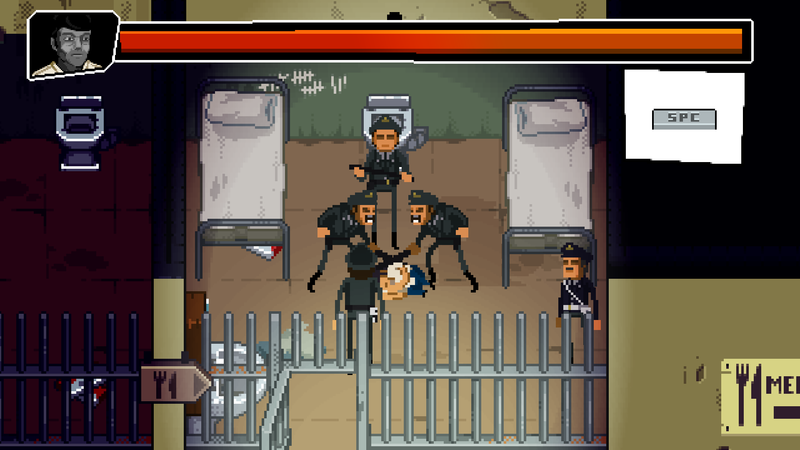 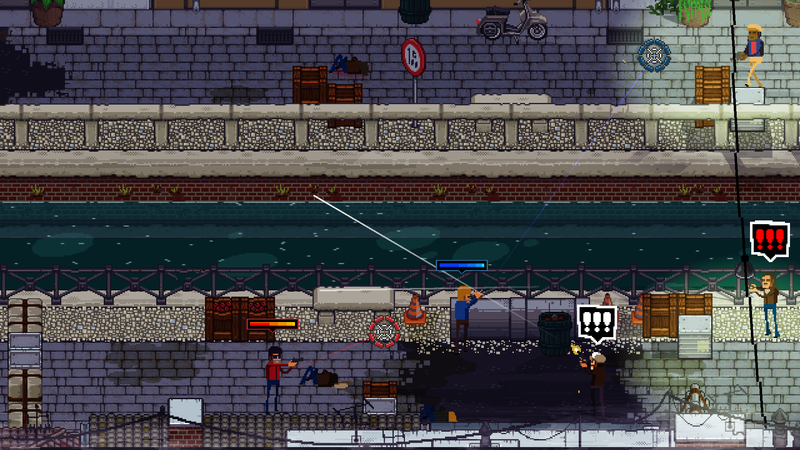 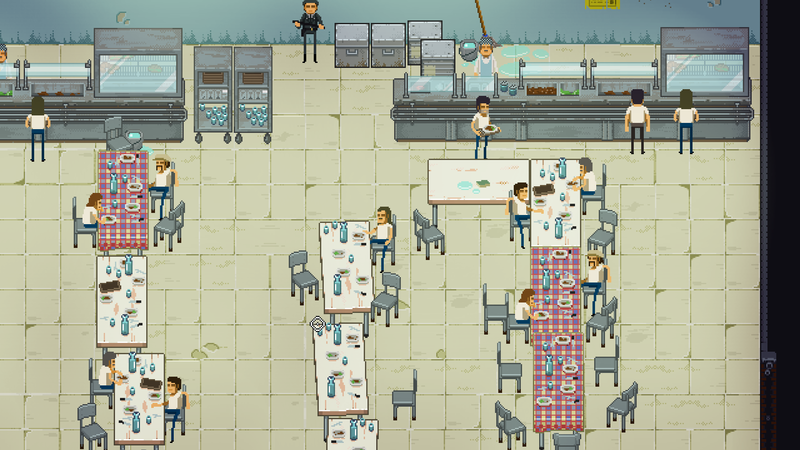 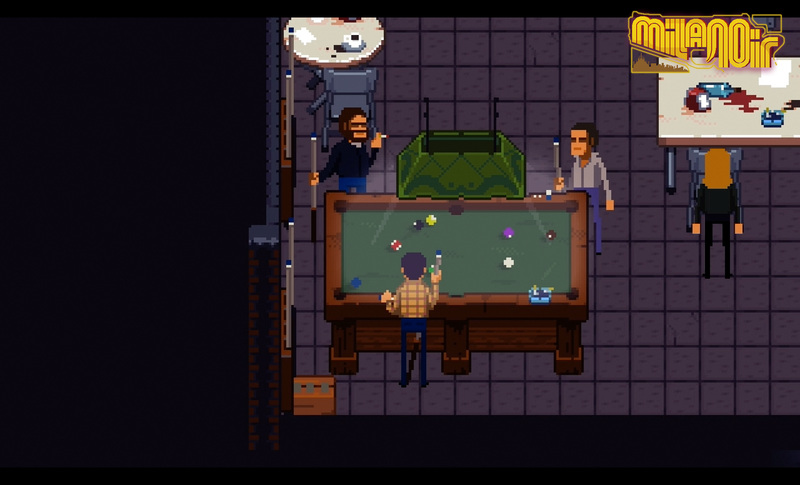 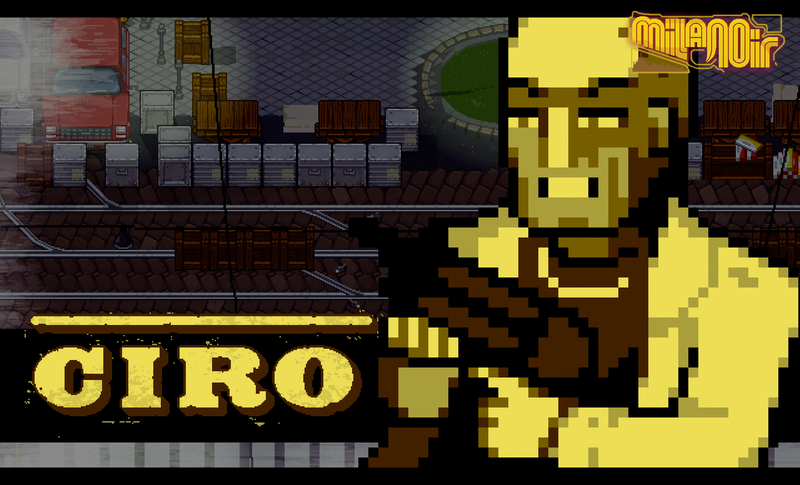 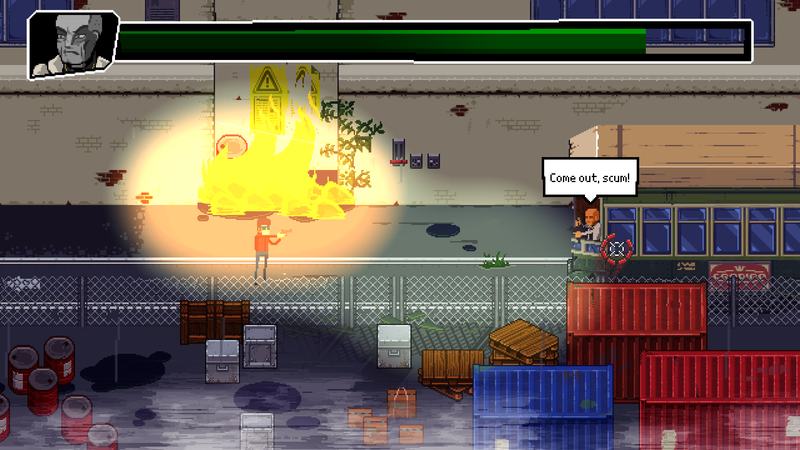 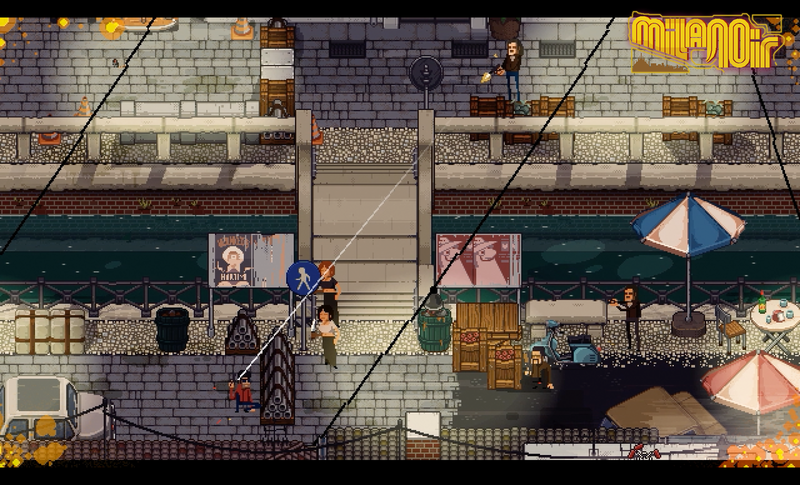 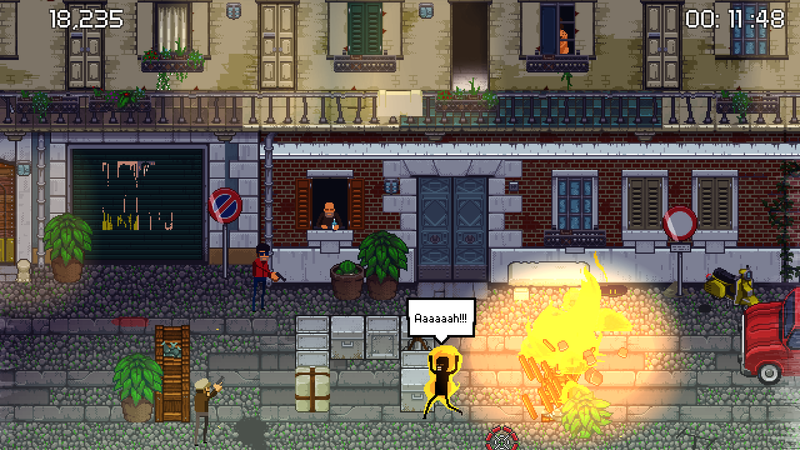 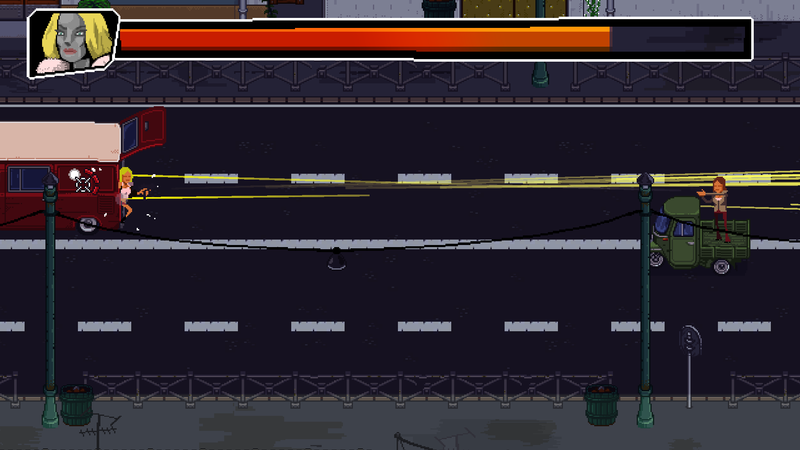 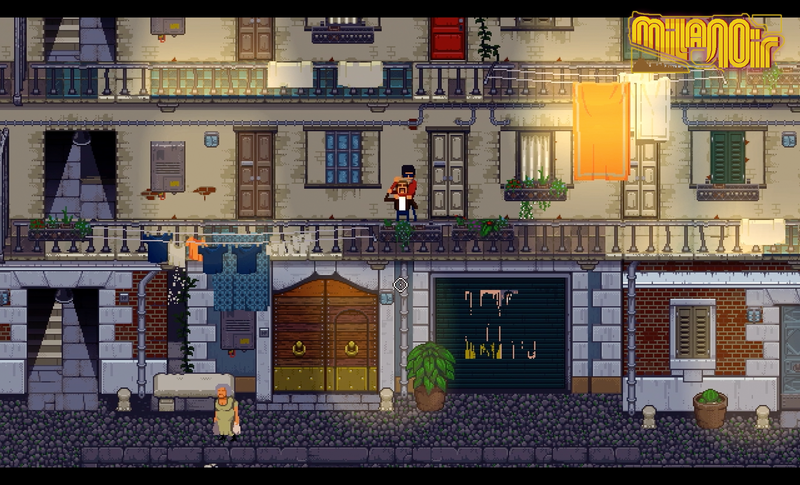 Milanoir is also expected to launch on Windows PC and consoles later this year. 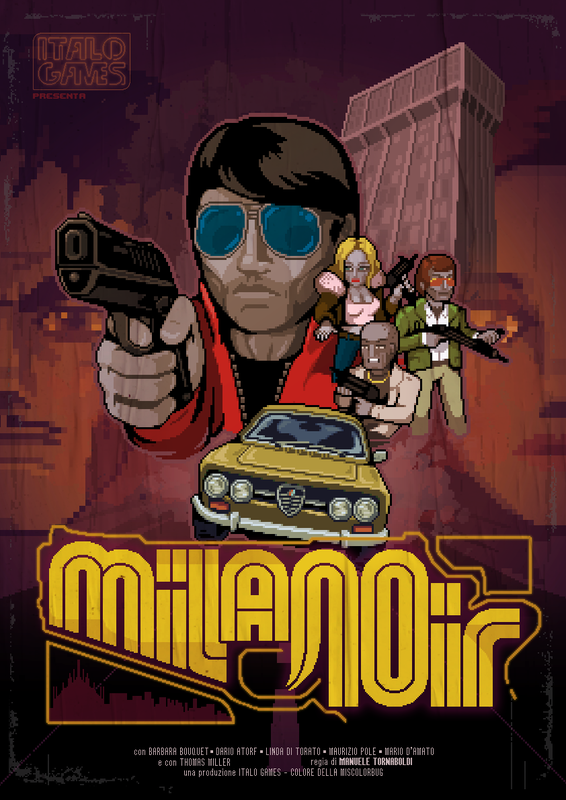 For more information, visit www.MilanoirGame.com, and follow the title on Facebook and @MilanoirGame on Twitter.